CORYDON, IN (WAVE) - An Indiana mother is behind bars, charged for her role in her infant's death. Tina Schmidt, 35, is charged with reckless homicide and neglect of a dependent for her role in a co-sleeping death of her 10-month-old child in October. The child died Oct. 29. Charges were filed against Schmidt on Wednesday. There was a delay because prosecutors were waiting for the autopsy and toxicology results of mother and child. Harrison County Prosecutor J. Otto Schalk said they're bringing charges against Schmidt for co-sleeping because she knew the danger of it. It's happened before. Police have been previously called out to Schmidt's address for a co-sleeping death, Schalk said. A probable cause affidavit shows four years ago another infant died in her care. That time, the toxicology report showed amphetamine and hydrocodone in her system. This time, she had taken amphetamine and methamphetamine, according to the affidavit. "The child passed away tragically in the exact same bed in the exact same set of circumstances," Schalk told us. "And that led us to the conclusion that the state of Indiana needed to intervene." The probable cause affidavit said Schmidt put the baby in bed between her teenage sons, in an adult-sized bed, and then left the home for around 45 minutes to use methamphetamine. She came back to find the child unresponsive and called 911. "Ms. Schmidt had already acknowledged the dangers of unsafe sleeping and signed a prior agreement to not allow co-sleeping," Schalk said. Sleeping with a baby in your bed can be a polarizing issue, Schalk admitted. But he said they're taking action now to ensure something like this won't happen at that home again. "I'm a parent, I understand this as much as anyone," Schalk said. "But you have to take responsibility for your actions and you have to make sure your children are safe at all times." Schmidt was in court Thursday morning for an initial hearing. A public defender has been appointed for her. 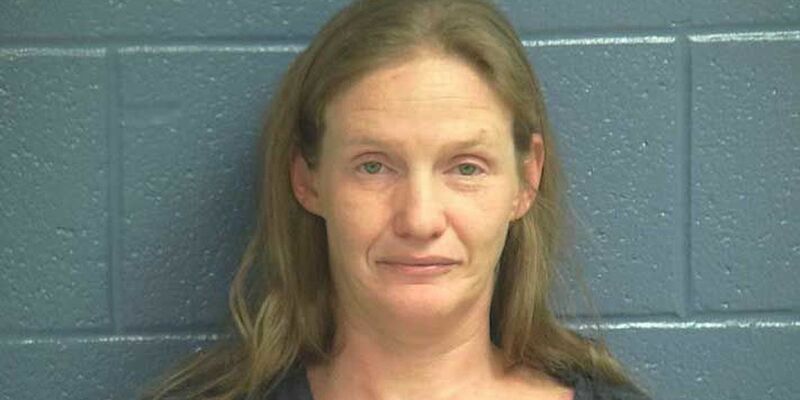 She's currently being held in the Harrison County Jail on $100,000 cash bond.